Does Middle-earth: Shadow of War's Lootbox System Change the Cost of War? Love them or hate them, lootboxes have become almost a staple of gaming in the modern age. From multiplayer shooters such as Team Fortress 2 and Overwatch to Forza Motorsport’s latest entry, the idea of randomized loot has even invaded the likes of single-player experiences. Monolith Production’s follow-up to 2014’s game of the year offers players the chance to bolster their armies with boxes will with orcs and weapons alike. 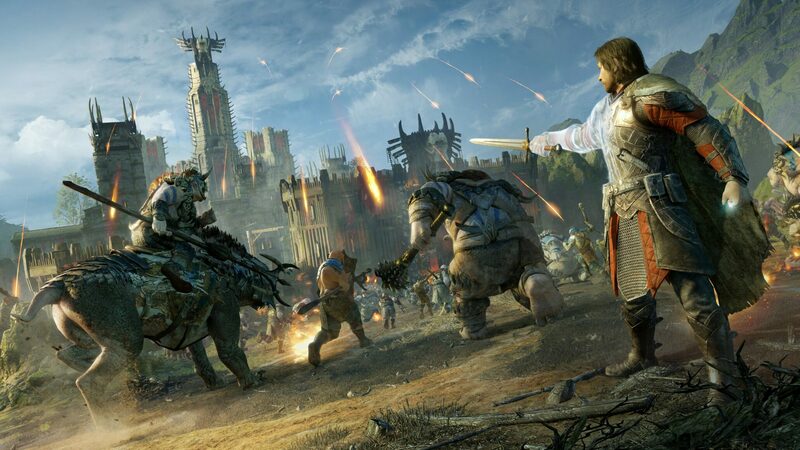 With the new additions to Middle-earth: Shadow of War (you can check out my review here), do these lootboxes change how players seek control of Mordor? As you gain regular loot and complete Nemesis missions, you’re bound to have more Mirian than you’ll know what to do within Shadow of War. 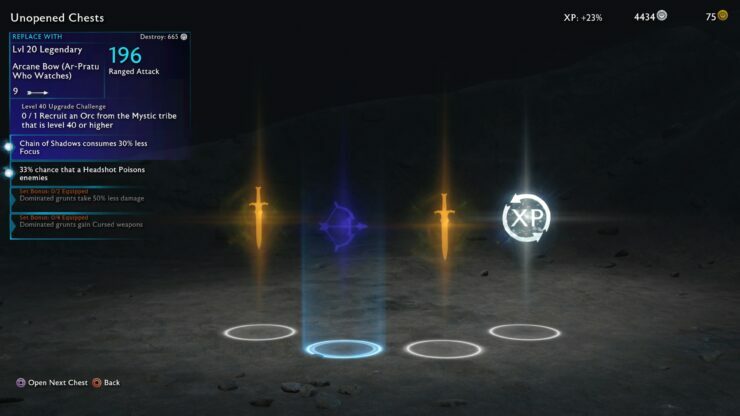 The basic tiers of lootboxes are about all that you can invest that extra spare change into and should be done every few levels if you want to keep Talion’s forces at their best. Spare Mirian is given out like candy and it takes little more than one or two nemesis missions to have enough to purchase another box of random gear. The paid lootboxes do offer a guaranteed chance at legendary gear, but does that mean you have to invest real money into them? Not at all. During normal play, I was getting Epic gear once every three chests and Legendary gear roughly once every ten. In the time it takes to gain enough Mirian to roll ten times in the loot lottery, I would typically see double that in loot drops from slaying Captains. Orcish followers from lootboxes operate on a different scale from Talion’s weapon boxes and I would suggest investing in those as much as possible. Epic and legendary Orcs are simply better than their normal-tier brethren, offering more immunities and strengths than normal orcs on the battlefield. To make the most out of the Nemesis system and keep your fortresses from being sieged in the Online Conquest mode, having Legendary orcs in every position will greatly increase your odds of winning, especially if the other player isn’t versed enough in the combat system to change up their elemental affinities. New recruits in The Bright Lord’s army don’t always have to come from lootboxes, of course. Epic and legendary orcs do randomly appear throughout normal gameplay especially as you reach the end of Talion’s journey. Leveling up an underling won’t be an issue, as sending them on nemesis missions or fight pits can quickly bring them up to fighting strength, although there’s always the risk of them dying in combat. 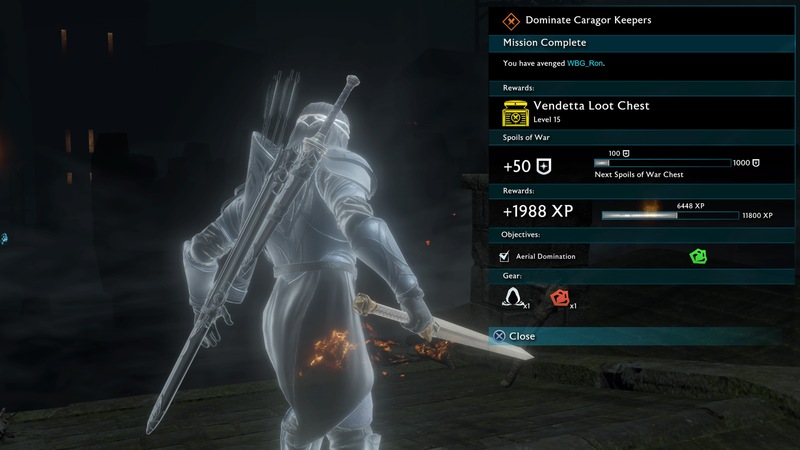 Do I think lootboxes are a bad fit for Middle-earth: Shadow of Mordor? That very question was something I wrestled with during my review. On one hand, I enjoy testing my luck and trying to raise up a legendary bodyguard that’s immune to the enemy’s hijinx. On the other, much of the feedback loop feeds right through the market, making it impossible to stay away from it all if you’re looking for a pure experience without the additional gambling. They’re harmless enough on their own and I would just as well roll ten free boxes for the same gear I would’ve earned from one paid lootbox. 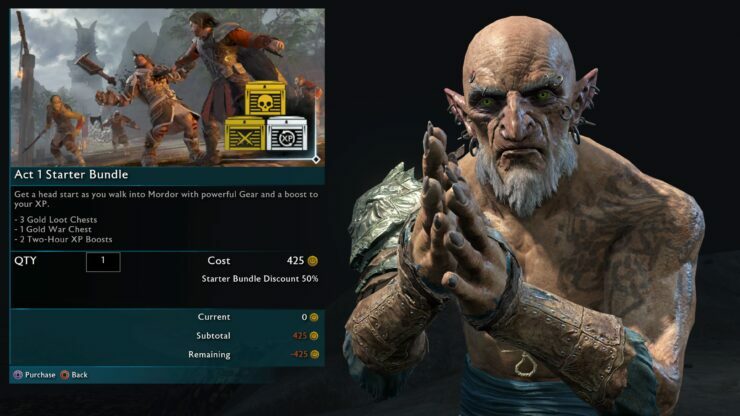 Don’t let the possibility of spending a couple of dollars on a lootbox to get a quick boost in Middle-earth: Shadow of War ruin your experience. 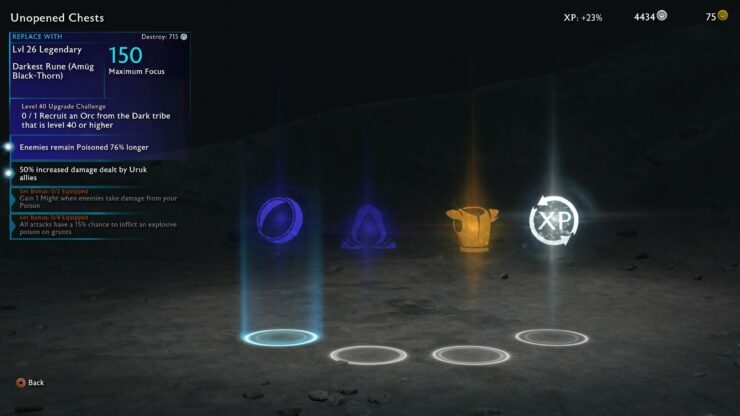 Just enjoy the adventure as any other game and if you unlock a loot box: congratulations, you’ve earned it.